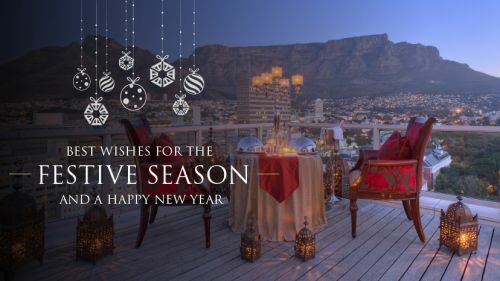 Celebrate Christmas and New Year with a variety of exclusive festive events at Cape Town’s most prestigious city centre hotel, Taj Cape Town, this December. With a range of luxurious facilities and banqueting rooms, Taj Cape Town is the perfect celebration location for the ideal festive party. Our premiere restaurant, the intimate Bombay Brasserie, is the home of fine dining Indian cuisine. Here, delightful dishes are skilfully prepared using traditional ingredients to create some of the finest cuisine outside of India. Mint Restaurant and Terrace offers a fresh take on inner-city dining. Dine all day, inside and out – on the newly-appointed Terrace – on innovative international and local fare. The Lobby Lounge and Bar is the ideal spot to unwind in sheer elegance. Originally the banking hall of the old Reserve Bank, the venue offers a formal lounge and bar setting, as well as a separate Cigar Lounge. Below Image: Taj Cape Town is the perfect celebration location for the ideal festive party. Enjoy a sumptuous Festive Afternoon Tea on 16, 23 or 30 December from 14:00-18:00 at The Lobby Lounge and Bar. Priced at R295 per person, these events see traditional teatime favourites meet cutting-edge technique. For the full menu, click here. On 24 December, enjoy a Christmas Eve feast at either the Mint Restaurant and Terrace Buffet or a plated 5-course dinner at Bombay Brasserie. The stunning Buffet at Mint Restaurant and Terrace is priced at R650 per person, or R695 including a welcome drink. For the full menu, click here. The 5 course dinner atBombay Brasserie is priced at R850 per person, or R895 including a welcome drink. See the menu choices here. Make Christmas Day a splendid affair with a Buffet option at Mint Restaurant and Terrace, priced at R650 per person (or R695 including a welcome drink). The menu is available here. Dine in world-class style atBombay Brasserie, with a 5 course lunch priced at R850 per person or R895, including a welcome drink. For full menu details, click here. Below Image: Dine in world-class style at Bombay Brasserie this festive season. Ring in the New Year in signature Taj Cape Town style with a full Buffet & entertainment program in The Lobby Lounge and Bar for R1 150 per person, including a welcome drink. For full menu details, click here. To indulge in a truly sumptuous experience, enjoy a magnificent Bombay Brasserie Set Menu before joining the celebration in The Lobby Lounge and Bar to dance the night away. 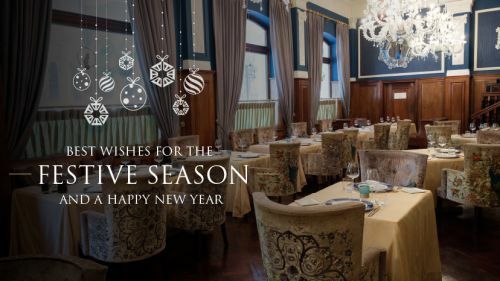 The Bombay Brasserie New Year’s Eve Celebration menu is priced at R1 650 per person, including a welcome drink. For menu details, click here. To book for any of Taj Cape Town’s magical Christmas and New Year celebrations, call +27 21 819 2000 or email res.capetown@tajhotels.com.